I love being at home and when it's glorious weather, there is nowhere I'd rather be! It's so important to take a break from work and take a bit of time recharging the batteries and after a rather hectic start to the year I was very ready to have a week off! I grew up in the south end of the island in Aird, Sleat. 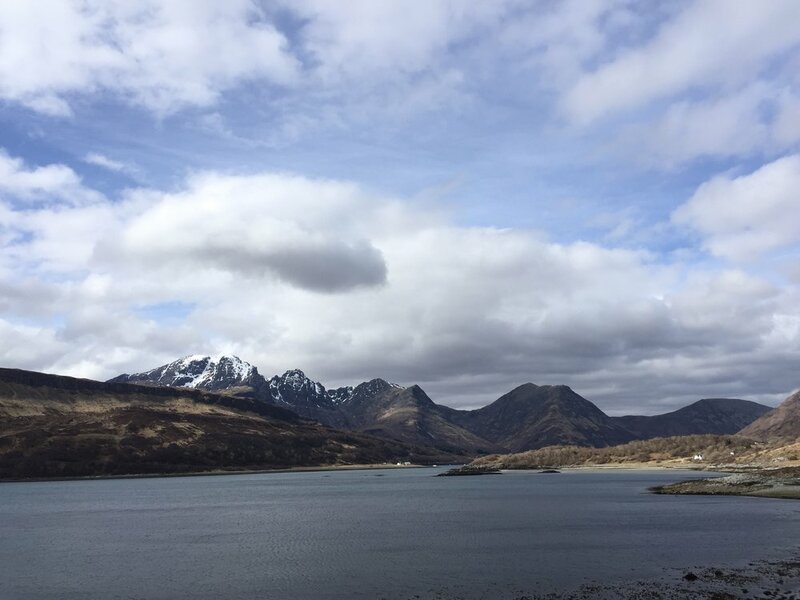 This part of Skye is off the main tourist route and definitely has a more tranquil feel to it when the rest of the island is buzzing with hikers, sightseers and holiday goers. Aird is the last township on the road where there under 40 houses. It can be a bit of a trek to get to but definitely worth the 4 mile single track road with views of the Isle of Eigg and the mainland! Are you heading to Skye this year? I love revisiting places on the island I haven't been to in a while and this holiday was no exception. The weather was glorious and when on Skye and the suns out you don't want to stay inside for long! Here are 2 of the walks I managed and would highly recommend for AMAZING views and a white sandy beach. Suisinish - This walk, I think, gives you one of the best views of the majestic Cullin ridge and views out to the Isle of Eigg and Rhum. On the road to Elgol you turn off before Torrin and park up on a grassy 'carpark'. The walk can be as long as you want it to and the official start is at Kilchrist ruined church. But, if you don't want to do the full 10 mile walk I would start at the beach! This area shows the extent of the highland clearances with ruined houses scattered along the coastline. Here is a link to the walk on the Walk Highlands website, a really handy tool if planning some hikes! Camas Daraich - A walk and beach very close to my heart as it's just beyond our house. A 2 mile track takes you to the Point of Sleat where you can either walk to the white sandy beach or onto the light beacon (used to be lighthouse). My choice is always the beach and if timed right you get the full expanse of white sand, perfect for swimming! 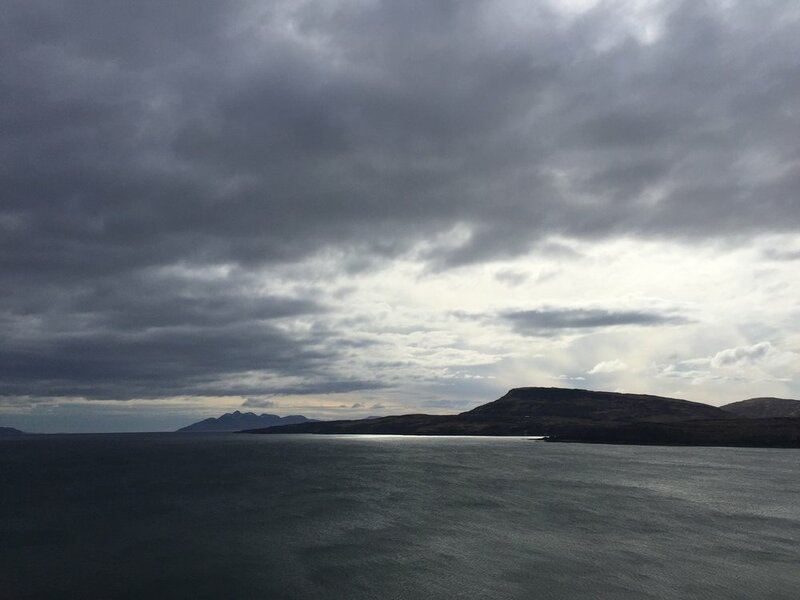 You also get to see the Eigg and Rhum at a different angle and if your lucky the tops of the Cullin! I always take our dog and she loves it! 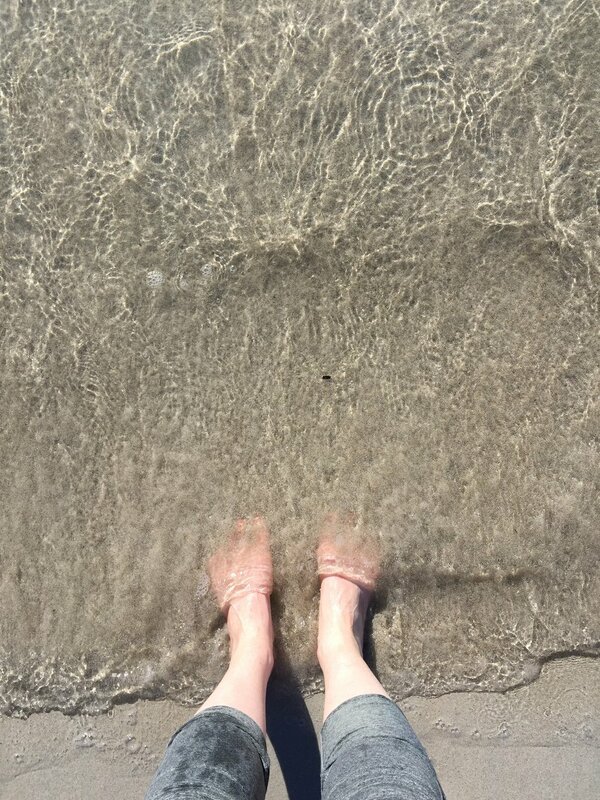 I have always got to have a paddle as well regardless of how cold the water is....and it was COLD! Lastly if you are looking for a killer spot to watch a sunset then head to Tarskavaig Village Hall - a tiny building set high on the hill above Tarskavaig. This gives one of the best views over to the outer Hebrides and a profile of the Cullin. 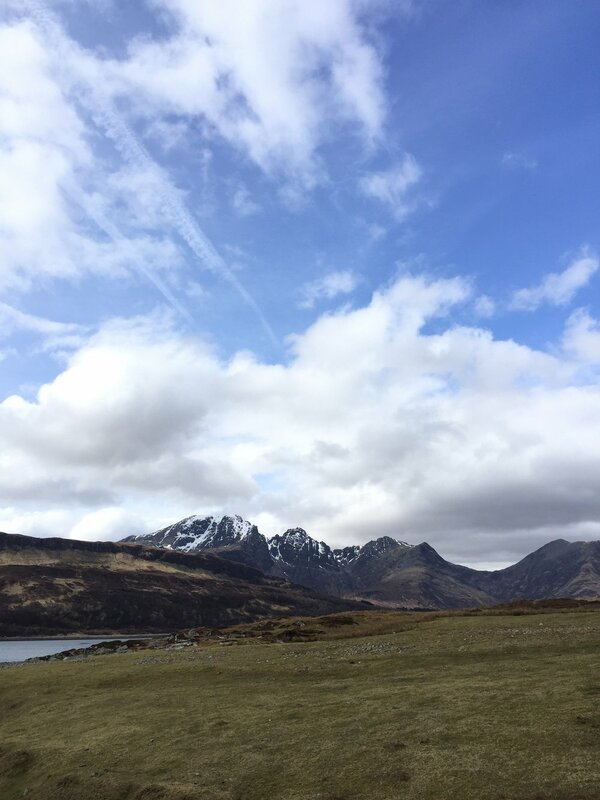 There are lots of resources to find out whats on Skye but they can focus on the tourist hotspots - the best way to see Skye is by walking, sitting on a beach and taking your time to enjoy this beautiful Island!